As parents, we are concern about the minerals that our children get. Many of the vitamins they get are from the food they eat. The number one rule of them is always to give them healthy foods as much as possible. However, sometimes our kids don’t get all the vitamins they need from what they eat, most specially if you have a very picky eater, that’d be really challenging! This is where food supplements come in. They are called supplements/vitamins of course because they aren’t the main source, they just supplement, they just fill in what’s not filled yet. So what exactly should we be looking for in a vitamins? Vitamin C – many parents think of Vitamin C as the number 1 vitamin for our kids. This is very much needed for their immunity. Aside from that, Vitamin C also promotes healthy muscles, connective tissue, and skin. Vitamin A – is essential for our children’s eyesight. I remember when I was a child, my mother would force me to eat Canistel, she says it’s for my eyesight, and I wouldn’t eat it no matter how many times she would force me. lol. Vitamin A also promotes normal growth and development; tissue and bone repair; and healthy skin, eyes, and immune responses. Vitamin Bs – All the Vitamin Bs are also important. The family of B vitamins: B2, B3, B6, and B12 aid metabolism, energy production, and healthy circulatory and nervous systems. Vitamin D – which promotes bone and tooth formation and helps the body absorb calcium. Calcium – yes one, of course, is very important for our children’s bone development. Most of which they get from their milk. 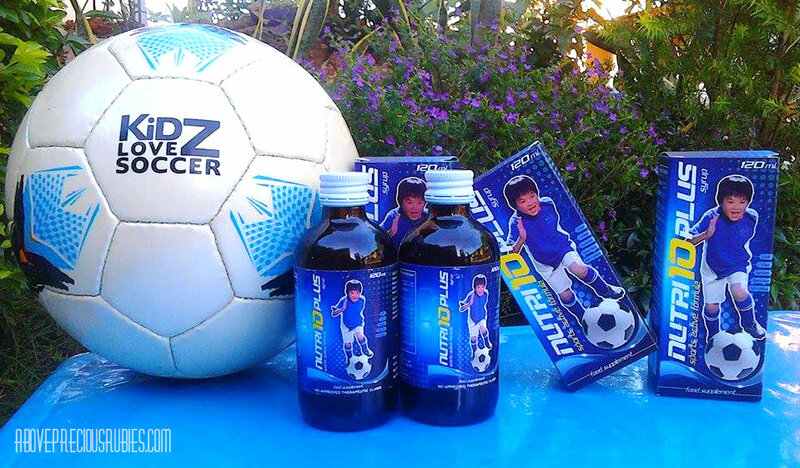 So if you think what your child is taking now isn’t “hiyang” for him or her, or if you think that you should try this one out, just head to any leading drugstores and ask for Nutri10 Plus Food supplement, it should be available for you in most pharmacies.